This is Bags of Action. The podcast devoted to action movies, both old and new, but all of them are awesome! In this episode Steve and Pete talk about the 1992 film Passenger 57 starring Wesley Snipes. Both hosts have really fond memories of this film from when Snipes was the peak of his popularity and starring in a series of very popular films. But will it live up to their fond memories in 2019? This is Bags of Action. The podcast devoted to action movies, both old and new, but all of them are awesome! In this episode Steve and Pete talk about the 2018 film Den of Thieves. This is a crime drama starring Gerard Butler and Pablo Schreiber in the lead roles about a group of bank robbers and the group of LA County Sheriffs in pursuit. This is Bags of Action. The podcast devoted to action movies, both old and new, but all of them are awesome! In this episode Steve and Pete talk about the 2018 film Death Wish. This is a remake of the original 1970s Death Wish film starring Charles Bronson which spawned a whole franchise of 5 films that started in 1974 and wrapped up in 1994. How will this remake compare to the classic and will it spawn a franchise? After a Star Trek heavy news and reviews section Steve and Scott settle down to talk about the Black Mirror choose-your-own-adventure Bandersnatch. First they go over some of the history of the genre, including some of their early experiences of it, before dissecting what they thought of the episode and where things might go in the future. Welcome to Crash Landing. In this episode Steve speaks to Barry Nugent, the author of Fallen Heroes and Forgotten Warriors, as well as a number of tie in comics and an audio drama set in the same universe. Barry has just 60 minutes to choose 5 books that he couldn't live without if he was going to crash land on an alien world. After a long hiatus the two geeks with the biggest mouths, Monts and Nuge are back and they're still bringing the sass with them kicking and screaming. Before hitting the Week that Was the lads have a quick chat about Captain Marvel and Avengers: Endgame and their thoughts on trailers in general. The lads take their yearly dive into the TV pilot season to see if there anything worth watching - you're welcome geekdom. This week Ant and Barry take one more trip in the TARDIS as they review the New Year's Day special episode ' Resolution'. This is Bags of Action. The podcast dedicated to action movies, both old and new, but all of them are awesome. In this episode Steve and Pete talk about the classic Christmas movie from 1987, Lethal Weapon starring Mel Gibson and Danny Glover. Somehow we've gone 57 episodes and not managed to cover this classic film! Is it as good as we remember? And is it the best Christmas movie ever? To talk about this episode and any other episode you can visit the Bags of Action Facebook group here - Facebook Group . If you would like to get in touch with the show you can follow us on Twitter @BagsofAction or you can email us at bagsofaction [at] gmail [dot] com or you could leave us a review on iTunes. This month Steve and Scott kick off with some news in what has been a fairly quiet month at the end of the year. For our main feature we are Building a Better Batman, talking about some of our favourites - who was the best Batman? The best Bruce Wayne? Who has the best voice and which director did it the best? We talk through some of the best and worst and what we'd like to see in the future. To talk about this episode and any other episode you can visit the Grouchy Old Geeks Facebook Group. If you would like to get in touch you can email us on grouchyoldgeeks[at]gmail[dot] com or you could leave a review on iTunes. In this special episode Steve is joined by Barry from Geek Syndicate to talk about the Netflix TV show Travelers, ahead of its return next month as season 3 airs on December 14th. Created by Brad Wright, one of the people behind the Stargate TV series, he has a lot of experience with creating shows focusing on groups of characters. This SF show is set in the present day and it focuses on a group of people from the future who have come to the 21st century to save the future. This is Bags of Action. The podcast devoted to action movies, both old and new, but all of them are awesome! In this episode Steve and Pete talk about the modern action film, Message from the King from 2016, starring Chadwick Boseman. This film is a crime action revenge film with Chadwick Boseman's character, Jacob King, travelling to LA to find out what has happened to his missing sister. To talk about this episode and any other episode you can visit the Bags of Action Facebook group here - Facebook Group . If you would like to get in touch with the show you can follow us on Twitter @BagsofAction or you can email us at bagsofaction [at] gmail [dot] com or you could leave us a review on iTunes. 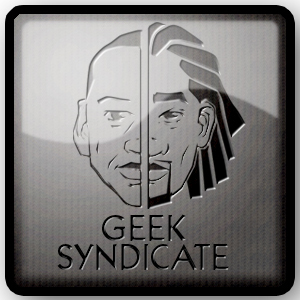 If you enjoy this podcast or any of the others on the Geek Syndicate network then you can support the show by visiting the Geek Syndicate website. Ant and Barry face the Demons of the Punjab in the their latest review of Doctor Who series 11. Ant and Barry head into the not so wild west to give some first thoughts on Rockstar's Red Dead Redemption 2. With Barry back in the co-host chair he and Ant head into the depths of space to try and unravel The Tsuranga Conundrum. Ant and Nuge take a visit to the Ghost Monument in the second episode of their Dr Who Series 11 review show. This is Bags of Action. The podcast dedicated to action movies, old and new. In this episode Steve and Pete discuss Surviving the Game from 1994. With an all star cast including Ice-T, Charles S. Dutton, John C. McGinley, Rutger Hauer and Gary Busey, will this turn out to be a classic gem or a turkey that's better left buried? To get in touch with the podcast you can email us bagsofaction@gmail.com, follow us on Twitter or join the Facebook group. Welcome to Crash Landing. In this episode Steve speaks to Anna Stephens the author of the Godblind trilogy from Harper Voyager. Anna's books are sometimes called grimdark, other times epic fantasy and the first two books in her series are now available, Godblind and Darksoul. Anna has just 60 minutes to choose 5 books that she couldn't live without if she was going to crash land on an alien world. Welcome to Crash Landing. In this episode Steve speaks to Taran Matharu, the NY Times bestselling The Summoner series. Sometimes described as a mix between Harry Potter, Lord of the Rings and Pokemon, the YA series is published Hodder Children's Books. Taran has just 60 minutes to choose 5 books that he couldn't live without if he was going to crash land on an alien world. In this week's epic ninety minute episode the lads celebrate their 300th episode in style. As well as the usual news and reviews Monts and Nuge look back over 300 episodes and nearly 12 years of Podcasting. Strap in geeks because it's about to get emotional. The lads wrap up the show with a look in the GS mailbag to answer some listener questions. Big thanks to everyone who listens as well as to Conor Boyle for supplying the artwork for this episode. Also big thanks to Cy Dethan for writing the script for our little audio trailer at the start of the episode.